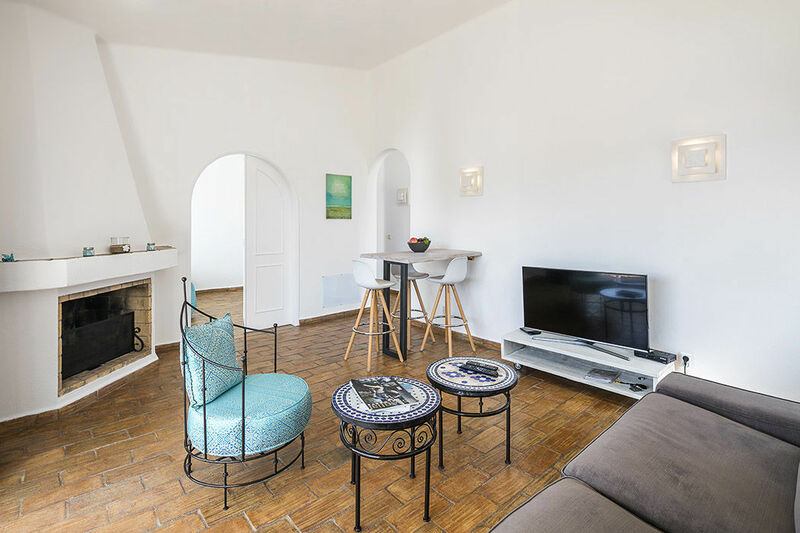 A spacious 1-bedroom apartment (96 m²) located in a block of 6 apartments. 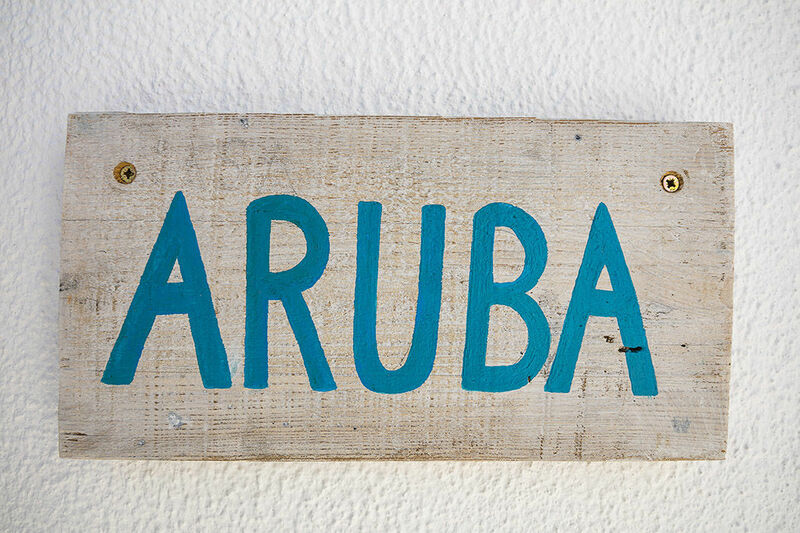 Aruba is on the first floor of the 2 story building. 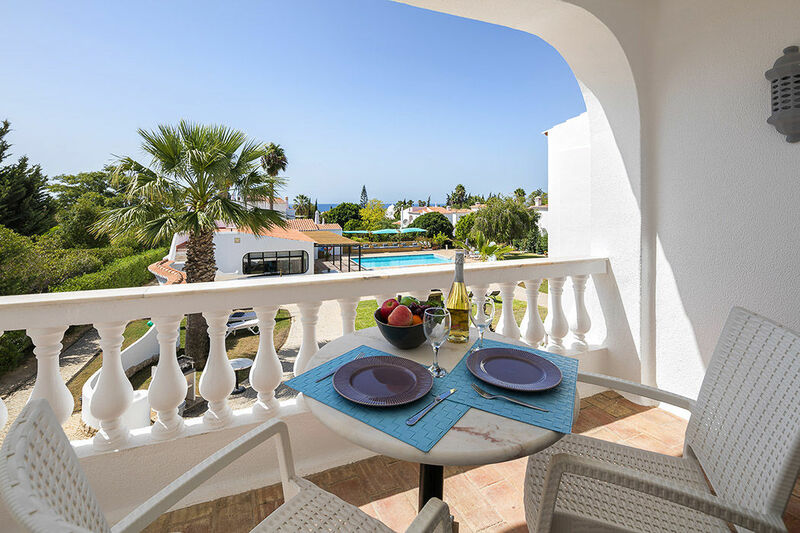 Spacious private balcony accessed from patio doors overlooks the tranquil communal pool area and landscaped gardens with fantastic sea views in the distance. The table and chairs are perfect for outdoor meals. 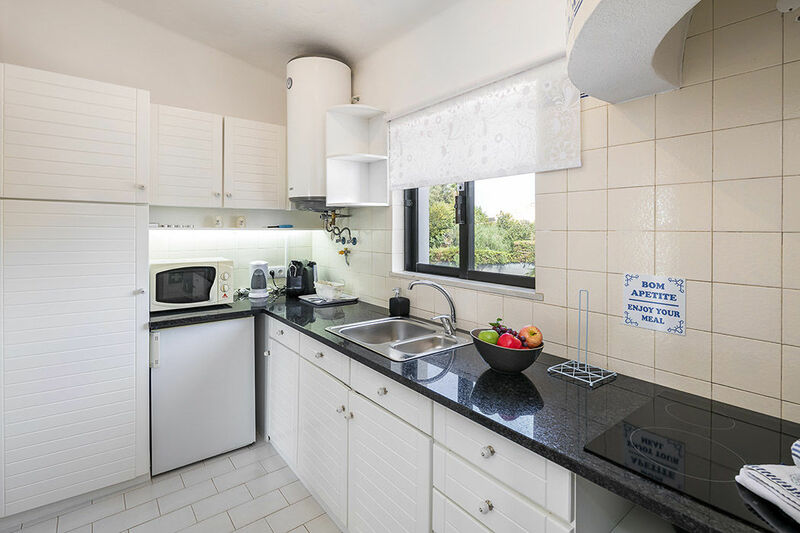 There is a contemporary communal area next to the pool where guests are free to use the cooking and BBQ facilities in a relaxed environment. 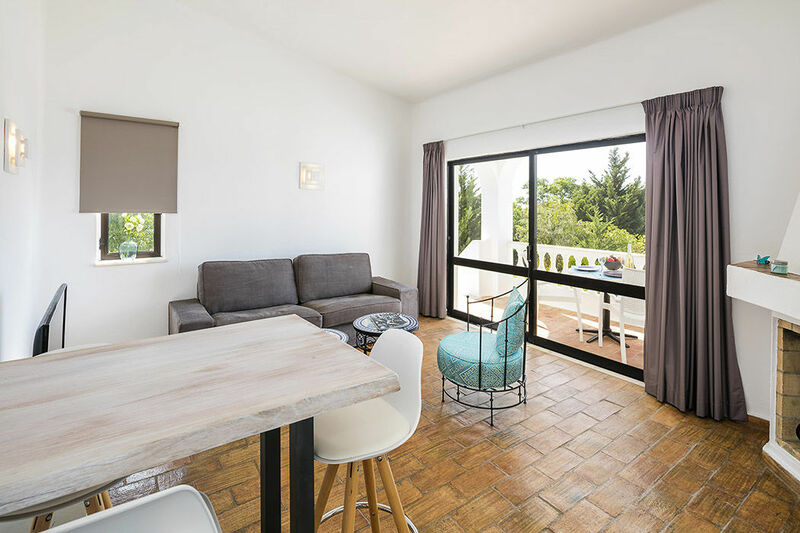 Stylish beach inspired apartment with a bright living-room which is flooded with light from the south-facing patio doors which lead to the balcony. This spacious room complete with dining area, has a comfortable sitting area which allows guests to enjoy the large LCD television with over 100 channels. 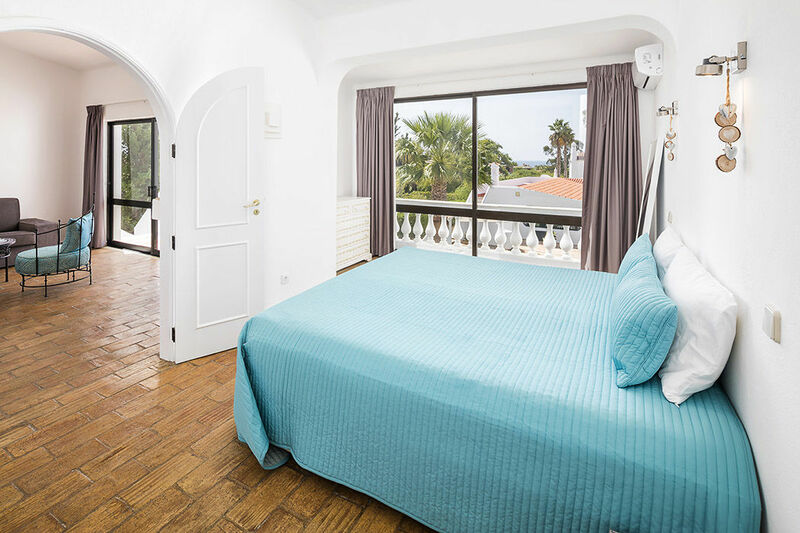 The bedroom features a king-size bed, patio doors which lead to the balcony and air-conditioning. 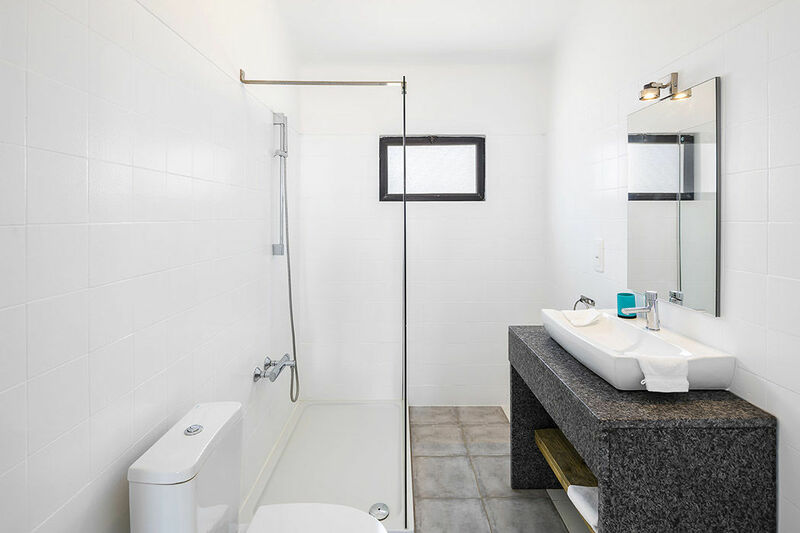 The modern bathroom is complete with a walk-in rain shower, whilst the fully equipped kitchen has a fridge, microwave, 3 ring stove (small portable oven available on request) and Delta coffee machine.